Size: Colonies are usually about 30 cm in diameter. Branches are 10 – 20 cm long and 1.0 – 1.5 cm in diameter. Axial corallites are 2.3 – 2.8 mm diameter and protruding 1.0 – 2.5 mm. The species is common in shallow offshore waters at depths between 1 m and 5 m, while it is rarely found in inshore coral assemblages. 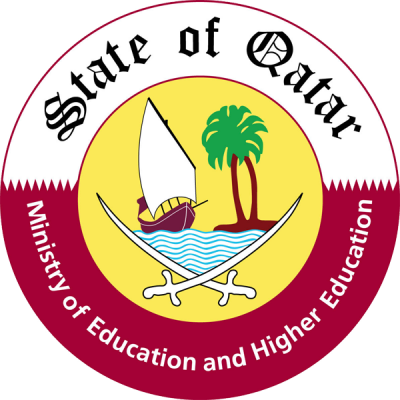 To date, the species is only known from the Arabian Gulf, southern Red Sea and Madagascar. 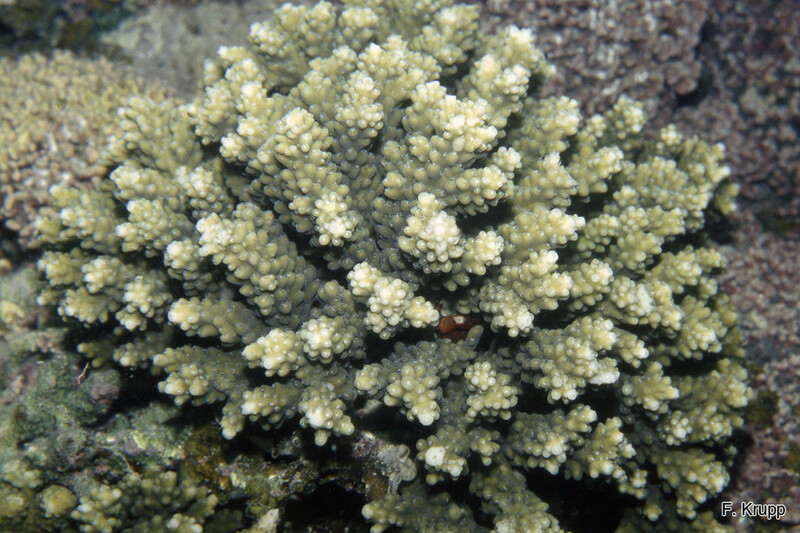 The IUCN Red List of Threatened Species classifies Acropora arabensis as Near Threatened. It is particularly susceptible to bleaching, disease, and extensive reduction of coral reef habitat due to a combination of threats. Colonies are arborescent with upright branches, which divide infrequently and become thinner only towards their ends. Branching patterns are irregular. 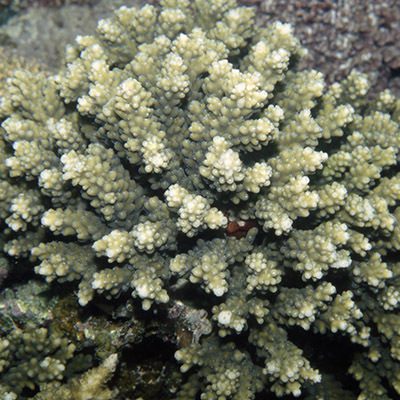 In deeper water branches are smaller in diameter and more numerous, giving the colony a bushy appearance. 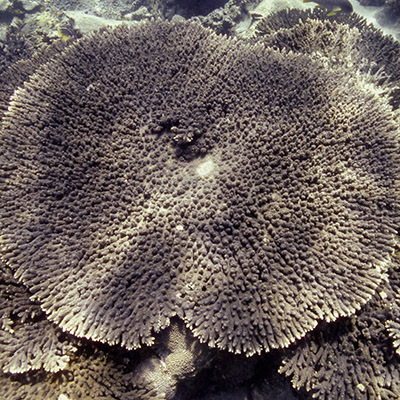 Axial corallites are dome-shaped. Radial corallites form a regular spiral. They are strongly appressed, have thick walls and small openings. The color of this species is brown or gray with pale branch ends.